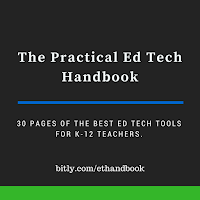 Last year I published a 30 page document that I called The Practical Ed Tech Handbook. This week I spent some time revising that document and updating it the 2016-17 school year. 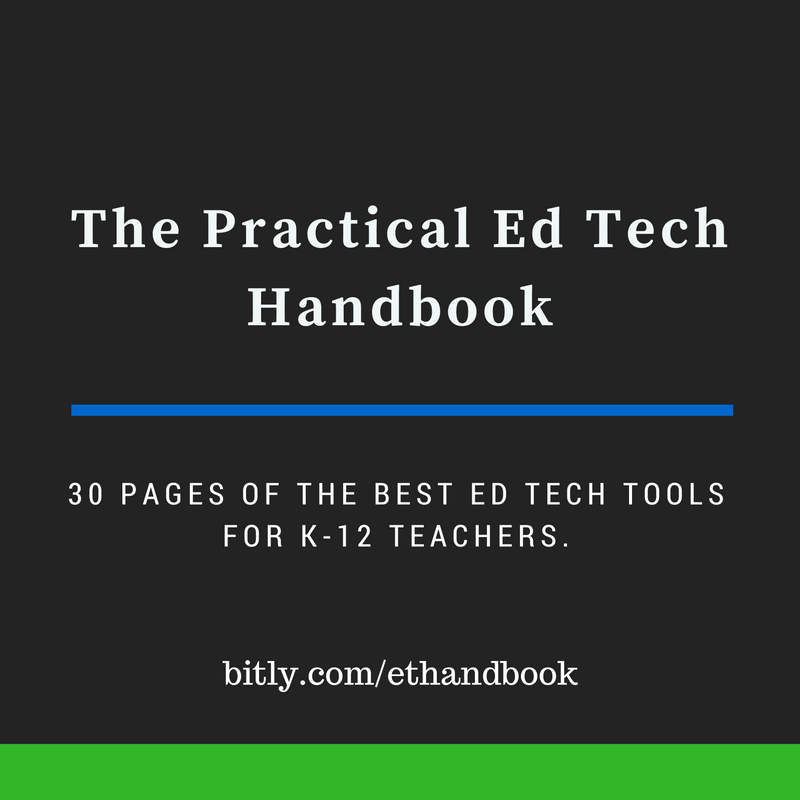 The Practical Ed Tech Handbook isn't just a list of my favorite resources. I've included ideas for using these resources and in many cases I've included links to video tutorials about my favorite resources. The Practical Ed Tech Handbook is embedded below. You can also grab a copy of it here. The link and the embed above are both hosted by Box.com. If you cannot see the embedded document or you cannot access the link, check with your domain administrator to see if you're allowed to access Box.com at school.